You know I love me anything oversized, but a good mini project puts me in squeals too. 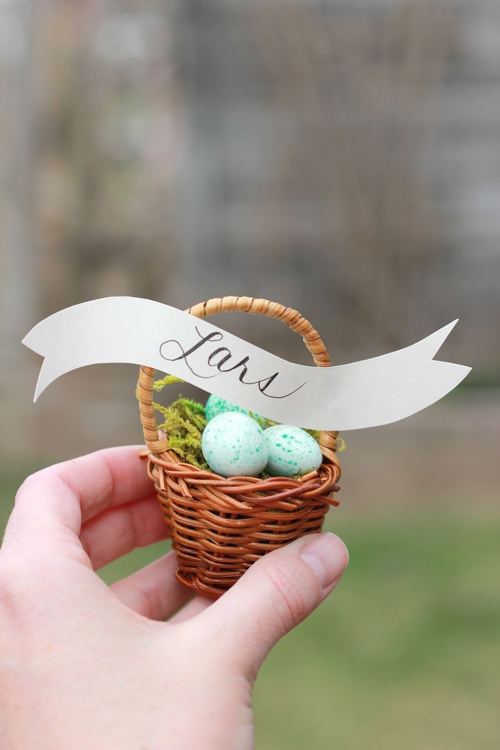 When I came across these mini Easter baskets I had a real cuteness overload moment and had to do something with them. 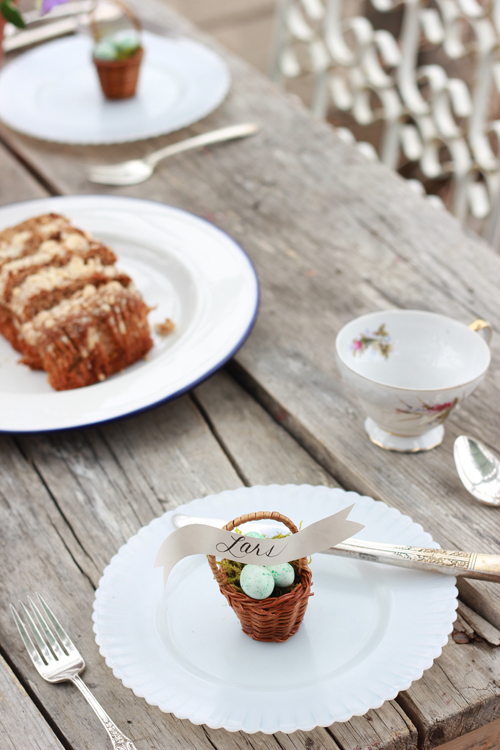 Place settings to be exact. 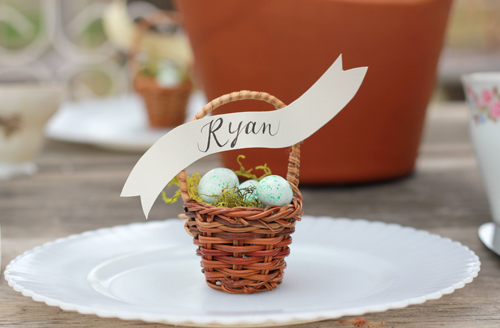 They’re such a quick project you’ll have time to make so many other springtime projects. “Oh goody, more craft projects” you’re thinking, right? Thought so. It’s so easy squeazy. 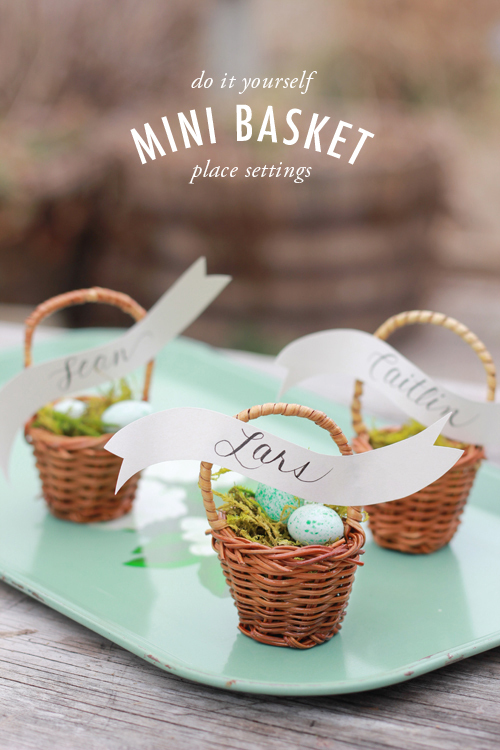 I bought these mini baskets here and filled them with a bit of moss and robin’s egg peanut butter M&Ms. You might be tempted to buy a slew of other robin’s egg candies, but I bought them all to see which was prettiest and tastiest and these are them. Trust me. I also ate all the bags to find out, so I’m obviously I’m a person with sound judgment. I created the banners out of leftover wallpaper (from a project I did for Laura Ashley) and curled them so that they twisted a bit. 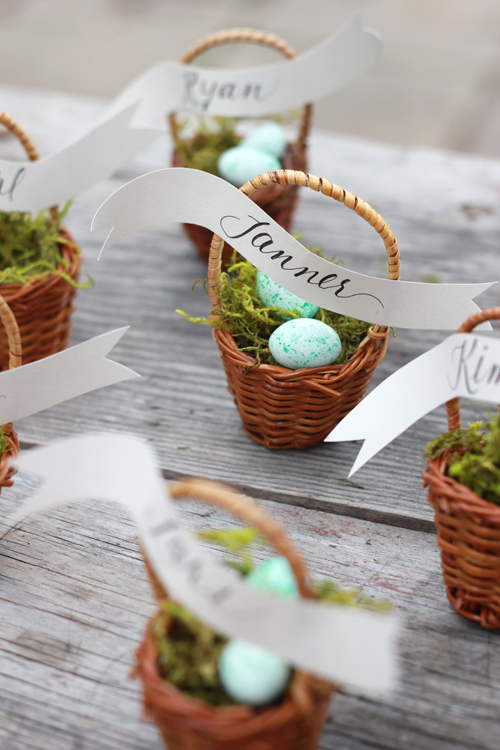 I wrote each name, glue gunned them to the basket, and BOOM!